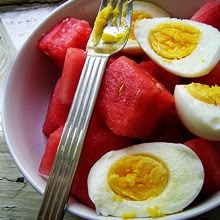 Hard-boiled eggs with watermelon for work breakfasts. 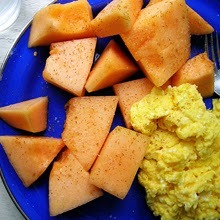 Scrambled eggs with cantaloupe at home. 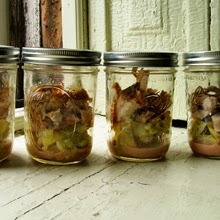 Chicken jars for work lunches. Cherries (!) and koldskal at home. Cherry lime soda (!!) and mixed nuts for afternoon snack. 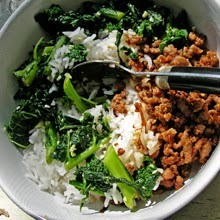 Ground meat, greens, and rice for pre-workout dinner. 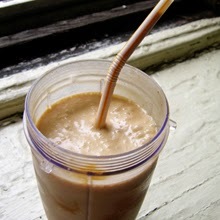 Fruit, nut butter, and yogurt smoothies for post-workout snack. 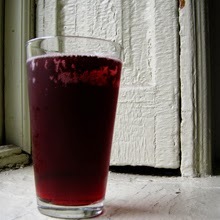 Tart cherry soda and coco popcorn for Friday evening snack. Mein gott, late summer already. Just a few changes this month. So to keep things simple with my extra day of work, I'm doing eggs and watermelon or cantaloupe across the board, hardboiled for work, scrambled at home. Scrambled eggs and melon is very good, and even easier than avocado tomato salsa. 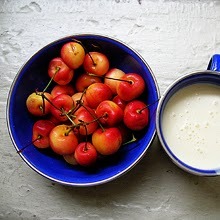 Cherries are in season now; berries would probably be good, too. Feeling pretty full of fruit so if I need an afternoon snack, I switch it up with a glass of cherry lime soda and some mixed nuts. 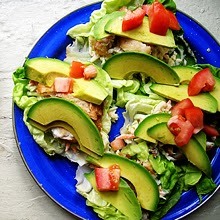 Hello there, fish tacos! 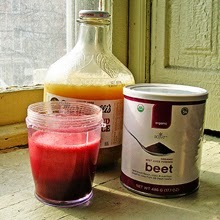 Recipe TK. Just by the by, I'm not really eating coco popcorn for Friday after dinner snack. I could if I wanted to, but I haven't. 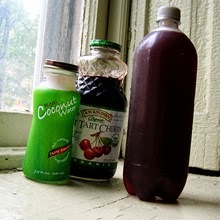 So I just have a glass of tart cherry soda, pro tip, add a few squirts of key lime juice and you have cherry-lime soda, so good! Late Summer food planner for the extremely detail-oriented.